When using Laptop connected with USB mouse, you will want to lock Touchpad to avoid case that cursor moves randomly if accidentally touched. 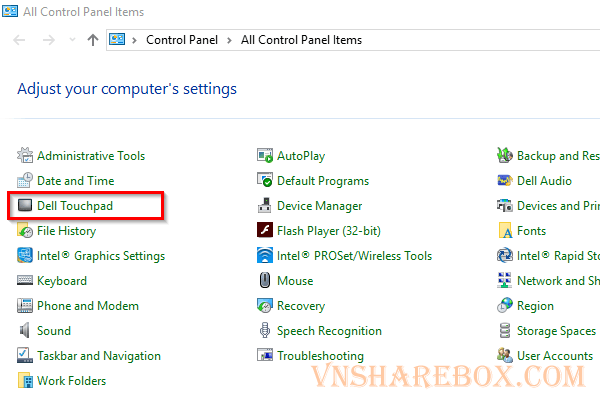 On Dell Laptop series, with Touchpad Driver will have an option to help you can lock Touchpad when USB mouse is connected to the computer. 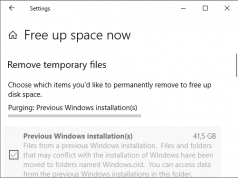 And automatically activate Touchpad again when disconnecting mouse. This makes it more convenient for you to avoid misbehaving and turn off Touchpad. 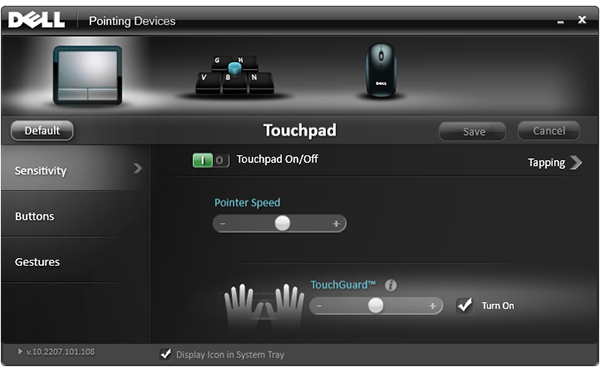 | From the Desktop, go to Start and open Control Panel> Dell Touchpad. ** Note: If you do not see the Dell Touchpad, it is because you have not installed Driver. 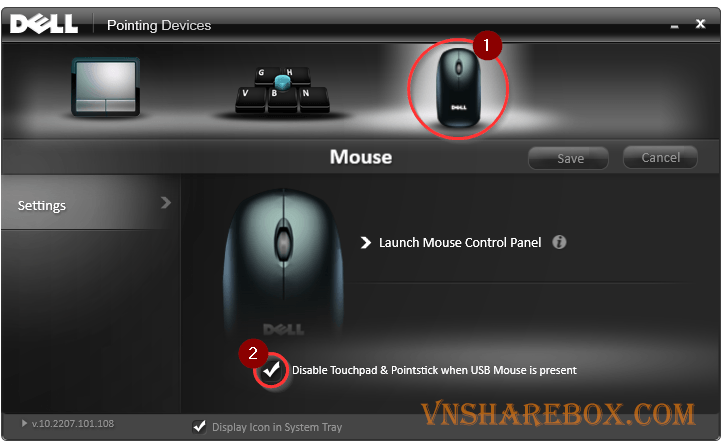 | Next, in the Dell Touchpad control panel you select the mouse. 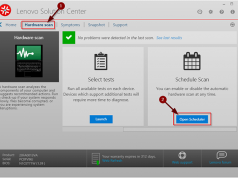 | You need Tick on the Disable Touchpad & Pointstick option …. 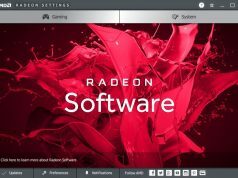 to enable auto on, off Dell Touchpad when connecting to a USB mouse. **Note: This feature of Dell Touchpad Driver only works if the mouse uses a USB connection cable. The feature will not work if you use a wireless mouse connection such as Wifi, Bluetooth.